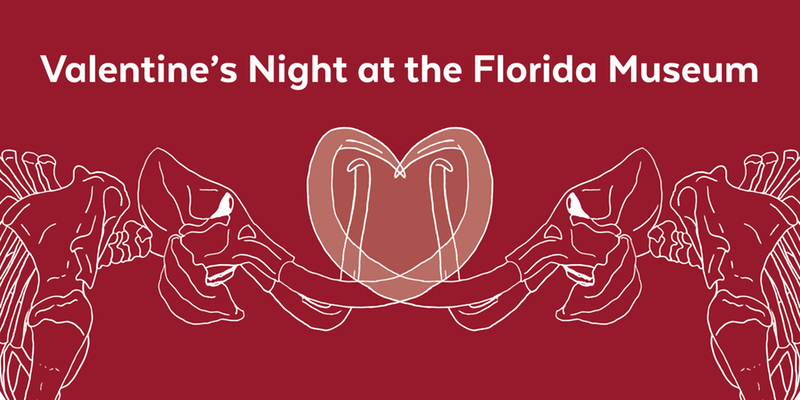 Spend Valentine's evening at the Florida Museum playing trivia and other fun throughout the exhibits. Come with a partner, friends or by yourself to experice this singles-friendly event. The Museum will be open 7pm to 10 pm for program participatns. Trivia begins at 7:30 p.m. and the winning teams will receive a prize. Pre-registration is required and closes Feb. 11. Participants must be 18 years or older. Program fee is $30 per person or $50 a couple.